If you have never booked an MSC Cruise before you will find they offer a unique booking experience that other cruise lines don’t offer. 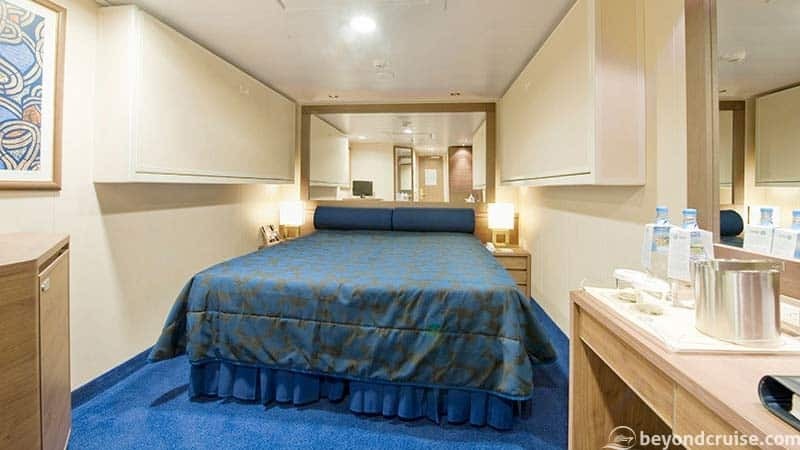 After you have decided on your ship and itinerary, you pick a cabin grade that you wish to cruise in (inside, balcony, etc) and then an experience. 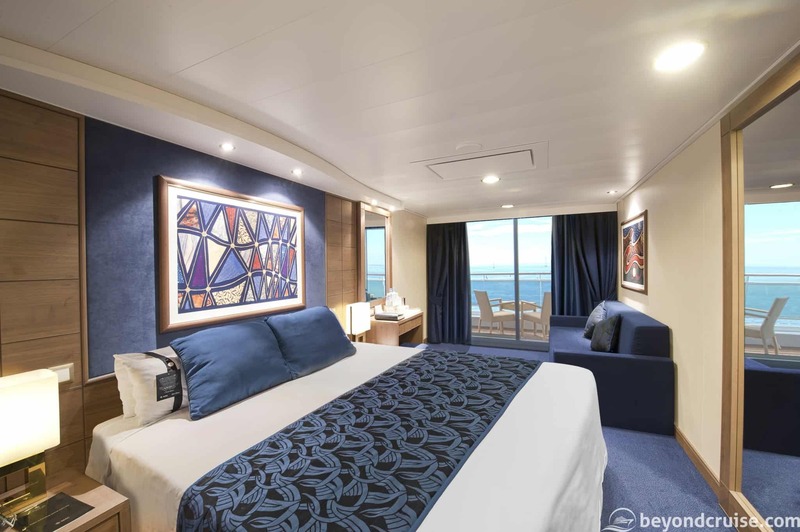 The experience ranges from a standard inclusive no-addons (Bella) to full spa and all-inclusive drinks (Aurea Spa) for the duration of your cruise. 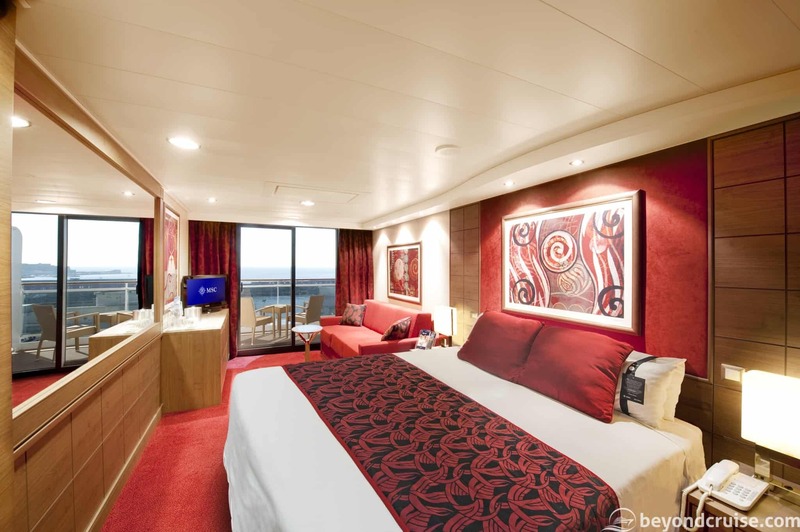 This guide shows you the cabins and experiences available on MSC Magnifica and how each of the available experiences relates directly to the ship. This information is correct as of July 2018. Desk area with drawer, seat and bin. Large mirror. 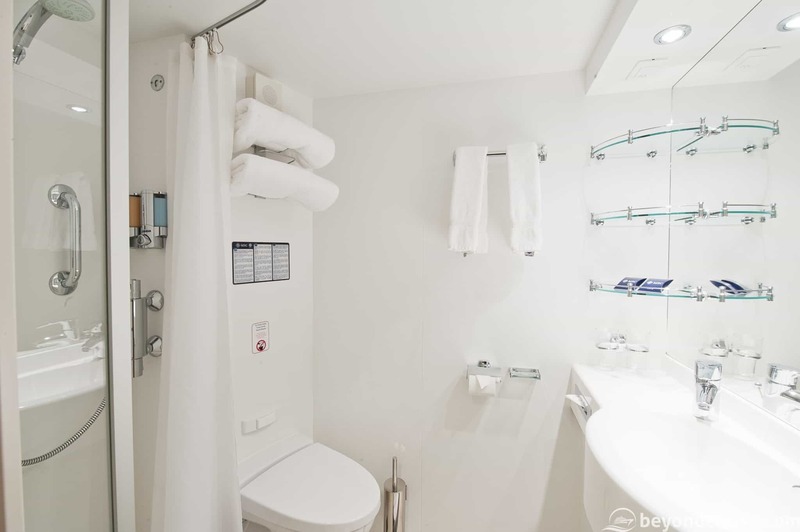 Bathrooms include: Shower, towels, storage shelves and cupboards, razor socket, shower and shampoo gel (fixed containers within shower), clothes drying line (in the shower). Hand soap dispenser. The inside cabin has an approx area of 13 sq. m (140 sq. 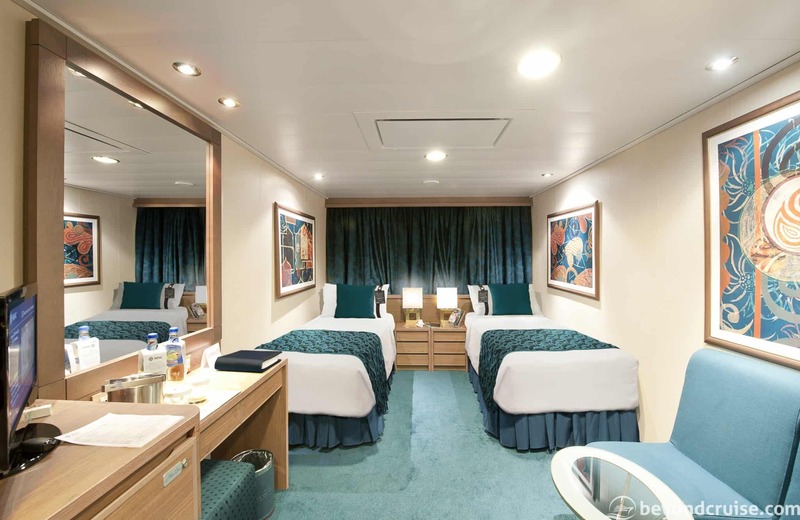 foot) and includes two pull-down beds for children (or additional storage if you wish) and two single beds (which can be made into a double on request – although not all disabled cabins offer this ability). 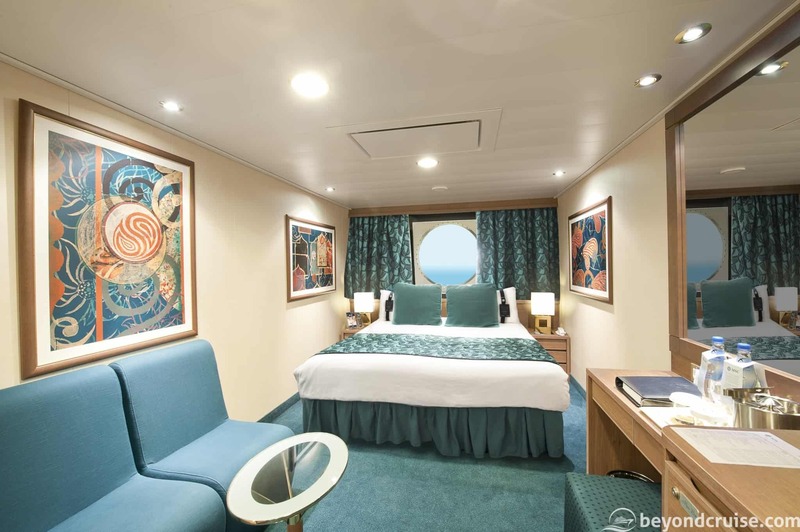 These cabins look out onto the lifeboats and are situated on only one deck, therefore your view is restricted compared to a normal Ocean View cabin. They have an approx area of 16 sq. m (172 sq. foot) and include a small table and a single/double seat as well as the single beds that can be made into a double (on request). Some cabins have bunk beds – check the deck plan and key below for information. These cabins have a large porthole-style window that looks out to sea. They have an approx area of 16 sq. m (172 sq. foot) and include a small table and a single/double seat as well as the single beds that can be made into a double (on request). Some cabins have bunk beds – check the deck plan and key below for information. These cabins have their own private balcony and include a small table and two chairs outside. The balcony door is lockable in case you have children. They include two single beds which can be made into a double (on request). Some cabins include a single or double sofa bed, check the deck plan and key below for details. The surface area of the balcony cabins ranges from 17 sq. m (183 sq foot) to 23 sq. m (248 sq foot) – please check the deck plans (at the bottom of this post) to find the locations. This is the default experience type. It includes all your food from the buffet and dining rooms for the entire voyage (but not the speciality restaurant or room service items). It also doesn’t include drinks or anything from your minibar. But drinks from the self-service area in the buffet are free, as is water in the restaurants and the coffee/tea making facilities in your cabin. It also includes the gym (but not spa), all your shows and entertainment and the kids’ clubs. Finally, it also includes the indoor and outdoor pool and hot tubs. The Fantastica experience offers everything in the Bella and better cabin locations, free room-service breakfast (no charge or delivery fee), free room service delivery (the food is still chargeable), additional kids club classes, priority choice of dinner setting (early or late), 50% discount on fitness classes and personal trainer discount, one complimentary photo taken during the Mediterranean night for each guest in the cabin. The Wellness experience offers everything the Fantastica experience offers and in addition a 1:1 health check-up exclusive Wellness shore activities and one compliment fitness class per day, one sports drink per day in your minibar, unlimited water in your cabin, restaurants and buffet, Welcome Wellness kit in your cabin (T-Shirt, shorts, sports towel and wellness device), inclusive laundry service for your gym gear, tailored fitness programme and a complimentary group photo of everyone else on the Wellness experience! The Wellness experience will be phased out on MSC Magnifica just before Summer 2019 when the new deck plan comes into effect (see the bottom of this post to view it). The Aurea package is the top package available on MSC Magnifica it includes all the benefits of the Bella and the Fantastica packages and also the standard unlimited drinks package, full unlimited access to Top 16 the Exclusive Solarium sundeck with private bar (see our deck by deck guide for details on this), a wellness package which includes one massage of your choice from the spa menu, tanning shower, spa welcome cocktail, private wellness consultation and full access to the thermal area (sauna, steam room and others and two indoor hot tubs with ocean views), a Med by MSC room diffuser (100ml), bathrobe and slippers in your cabin, priority boarding on your embarkation day, free choice of dining (just turn up between 6pm and 8.15pm to dine in the restaurant). Please note that you can actually purchase drinks packages, spa packages and access to the Top 16 deck individually before you sail with any package. You can also book these onboard, but they will be more expensive. Check the MSC website for details. We hope you enjoyed this guide! If you’ve any questions you can get hold of us via Twitter, our Facebook page or Facebook Cruise-Chat group!